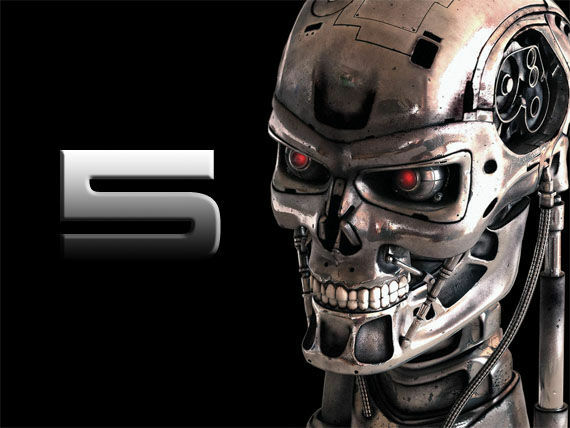 Rumor Patrol: McG Making More Terminator Films? So director McG recently did one of those BD Live screening sessions for the Terminator Salvation Blu-ray release (these BD Live screenings are really becoming all the rage). During the screening, discussion apparently turned toward future installments of the Terminator franchise and McG apparently claimed that he will in fact be back to direct the fifth and sixth installments in the series, as was originally planned back when Salvation was conceived as a new Terminator trilogy. However, if you've been keeping up with Terminator news here at Screen Rant (and you should be!) then you already know that the franchise rights are currently up for auction after the company which owns them, Halcyon, put them up for sale to avoid financial ruin. So what is McG talking about? The Blogosphere is already abuzz with debunks and speculation and we're adding our two cents to the mix. For the record, you can read an entire breakdown of the BD Live screening where McG made the claim about directing two more Terminator installments over at Gizmodo. Look, I'm no hotshot Hollywood contract lawyer (and neither are 98% of people currently covering this rumor), so I can't say for certain whether or not McG has some kind of contract that states he MUST get first crack at any new Terminator films, or something along those lines. What I DO know is that the franchise rights will be sold off by February 1st, 2010 according to Halcyon, and when that happens, it would seem only logical that the new owners would be the ones in charge of saying what's going to happen with any new projects, and who all will - or will NOT - be involved. Now, there are some things to consider: despite a lukewarm performance at the box office, Terminator Salvation has (somewhat) re-galvanized the franchise, opening up a viable lane for more Terminator films to be made. In short: the new franchise owners will have opportunity on their side. In that same vein, although Terminator Salvation had many plot issues, the storyline of the "Future War" between man and machine is still somewhat fertile ground for a trilogy. In short: what McG and Halcyon started may be the best opportunity for the new franchise owners to pursue. That all said, bringing McG back for another two installments could conceivably be in the cards for the new owners. Hell, for all we know the studios and/or private investors circling the franchise have already made it clear they plan to follow the original blueprint of having McG do a trilogy. It would be foolish to just assume McG was talking out of his you-know-what when he made the claim that he was still attached to the franchise. THEN AGAIN, Terminator Salvation, DID in fact perform worse than expected this summer, and speaking for my section of the blogosphere, fans were somewhat put-off when plans for Salvation's sequel leaked online earlier this spring. According to that leak, Terminator 5 would abandon the future war setting, having both man and machines once again travel back through time to battle it out in present day. Basically, it'd be a rehash of the first three installments... Great way for the new franchise owners to start things off... NOT! Time will ultimately tell how much fact there is in this rumor - and not too long a time, either. By February 1st, the franchise will be in new hands and I'm pretty sure that soon thereafter the new owners will be eager to start building up hype by letting fans know exactly what they plan to do with the franchise. Will they drop McG's name? We'll see. Curve Ball Prediction: Halcyon finds a way (investors) to scrounge up enough funding to get themselves out of the red, they retain a partial stake in the Terminator franchise and the original plans for the new trilogy - with McG at the helm - proceed as planned, albeit with some new cooks (the investors) added to the kitchen. For now, you can catch Terminator Salvation on DVD/Blu-ray. We'll keep you posted on franchise developments.